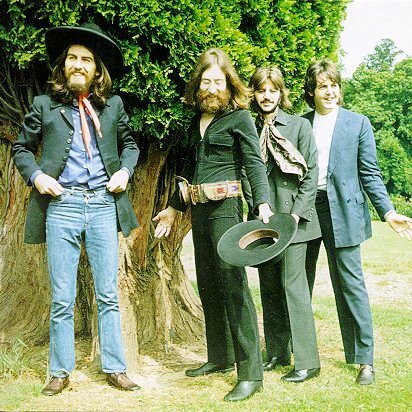 More than 50 years after their break up THE BEATLES continue to be the most famous and influential band in the world. Their success has made them the gold standard against which all other bands continue to be measured. Welcome to Beatlesnumber9, a Super Beatles Fan site, ive been a Beatlemaniac since watching them on The Ed Sullivan Show in 1964 . I've tried to make one of the most informative Beatles sites on the net, for fans old and new. Shopping at Amazon helps me pay for and improve this site. Bookmark this link for ALL YOUR AMAZON SHOPPING and the AMAZON #9 STORE for Beatle's products and everything else Amazon sells. THIS SITE IS NOT AFFILIATED OR ENDORSED BY THE BEATLES, APPLE, EMI OR IN ANYWAY MEANS TO PRESENT ITSELF AS AN OFFICIAL SITE OF THE BEATLES. THE WALRUS WAS PAUL. NEIL ASPINALL GEORGE MARTIN INTERVIEW: 1971 LET'S HEAR IT FOR RINGO!